Cacao Nibs come from Cacao Seeds through peeling and breaking the cacao seeds. Actually, cacao nibs are the production before chocolate. There are two types of cacao nibs: one comes from roasted cacao beans, and the other comes from raw cacao beans. Ours are RAW and ORGANIC cacao nibs. When the cacao seeds are extensively roasted, the roasted cacao nibs are produced by rotating ovens at the temperatures of about 210-290F. It takes from half an hour up to two hours to roast. The heat causes more flavor and aroma and the seeds are dried and darkened by it. Then, we can crack and winnow the seeds: the outer shells are cracked and blown away, leaving the "cacao nibs", crushed and broken pieces of cacao seeds. Then, we get something that can be eaten, which is really chocolate. One process needs to be noticed when we roast cacao seeds. It is fermentation. Place cacao seeds to wooden crates or baskets with banana leaves in between and on top to make sure a good fermentation. Different varieties spend different time for fermentation from 2 to more than 7 days. The length of the fermentation can influence the quality of aroma. Thus, the longer of the fermentation, the better-developed of the aroma. The fermentation process can make the flavor smell like the cocoa and chocolate. There will not be chocolate flavor if there is no fermentation process. 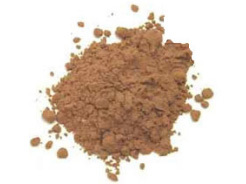 In comparison, raw cacao nibs are just made from raw cacao seeds but not roasted cacao seeds. Thus, we can press on the cacao seeds, peel it, and then break it into nibs manually. There are Magnesium, Sulphur, and Anti-oxidant, Monoamine Oxidase Enzyme Inhibitors, Phenylethylamine, and Anandamide in cacao nibs. All of these are good for having healthy heart, relieving from stressful mood and so on. As a result, cacao nibs have been a popular healthy food recent years. Consuming cacao nibs is easier than eating cacao seeds directly. We can easily put cacao nibs into smoothies because it is raw and wild chocolate. Besides, we can also eat it as it is, eat it cold (Freeze cacao nibs with sweeteners, e.g. honey), mix cacao nibs with maca and make herbal teas or eat it with ice creams (crush cacao nibs first). However, the cacao nibs need to be crushed and ground into a thick paste called chocolate liquor (there is no alcohol in it) in order to get chocolate. But we should be caution about one thing: do not eat cacao nibs along with dairy produce. The maximum benefits from dairy produce could stop the body from absorbing anti-oxidants.